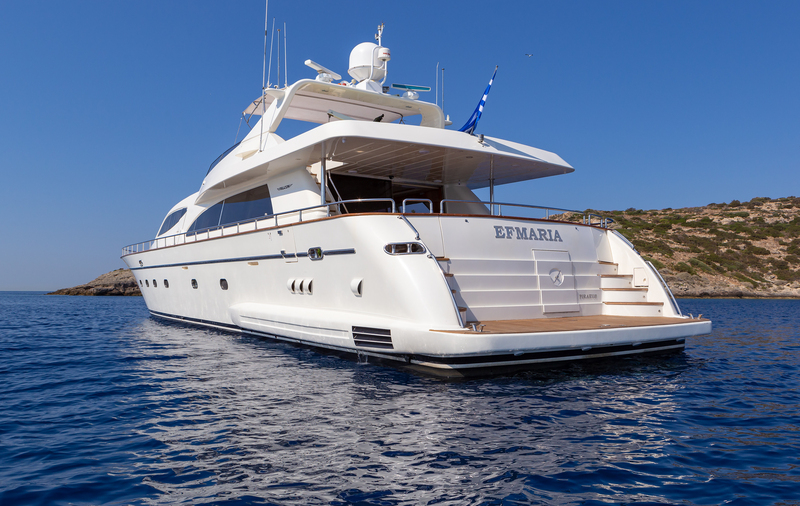 M/Y EFMARIA – L.O.A. 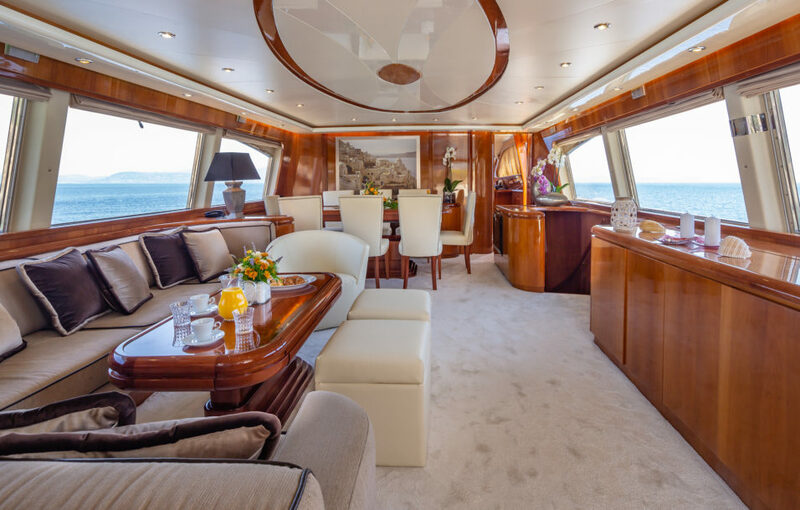 86′ 7″ft, year of built 2001 ( refit 2018) by Falcon, accommodates 9 guests in 4 cabins (1 Double Master, 1 Double VIP, 1 Double guest, 1 Twin with 2 twin beds and a Pullman berth, 4 Bathrooms / WC, 1 Day Head on main Deck ), cruising speed 20 knots, crew of 5, engine fuel consumption 650 incl gen Litres/Hr. 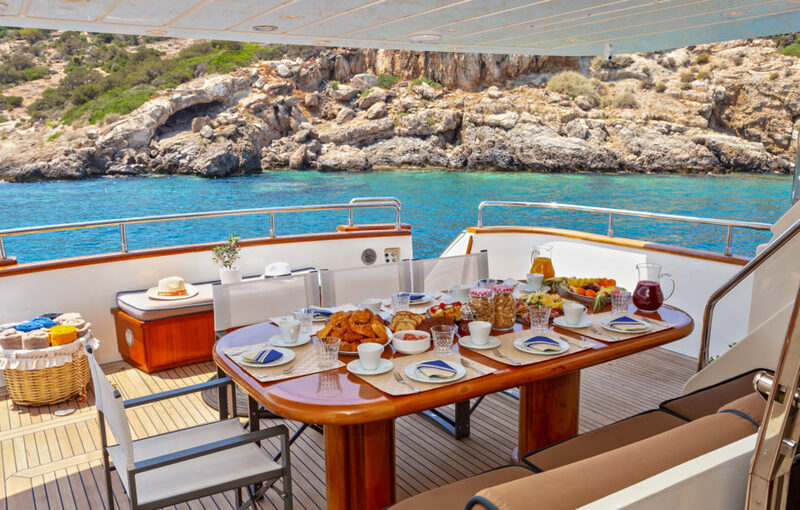 The 86ft / 26,21m Falcon 86 motor yacht ‘Efmaria’ was built in 2001 by Cantieri Navali Versil. 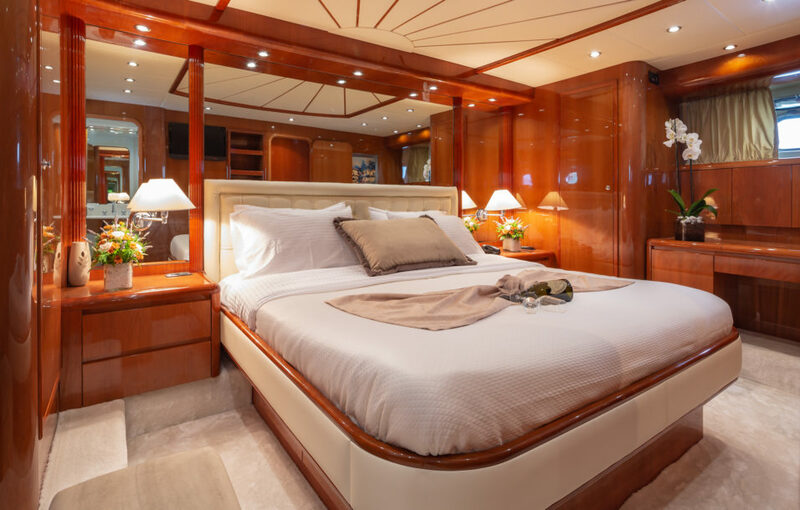 Stunning and elegant 86 foot Falcon with ample spaces and good performance. 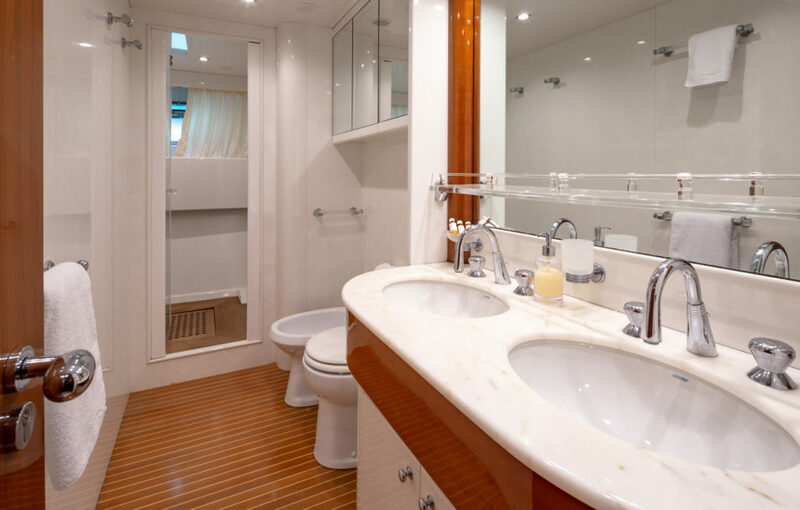 She has four luxuriously appointed ensuite cabins and can accommodate up to nine guests in total comfort. 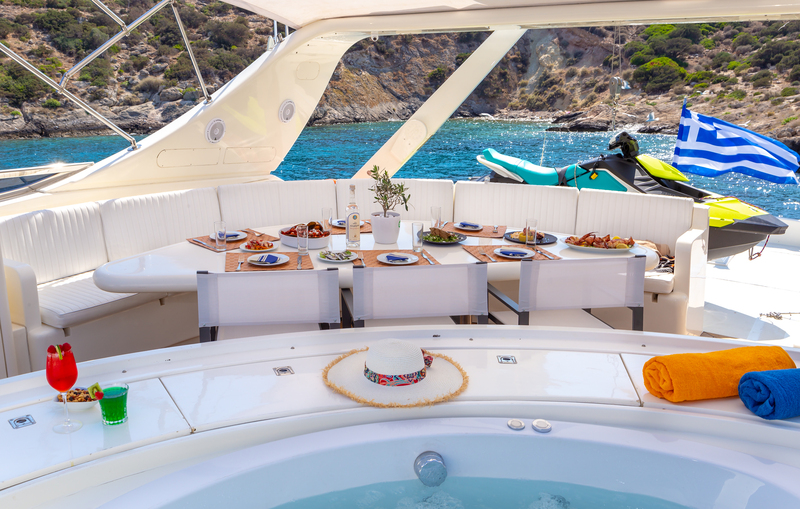 Charterers can be assured of a 5 star service throughout their stay from our experienced professional crew waiting on their every need including a chef to cater for all your culinary desires. 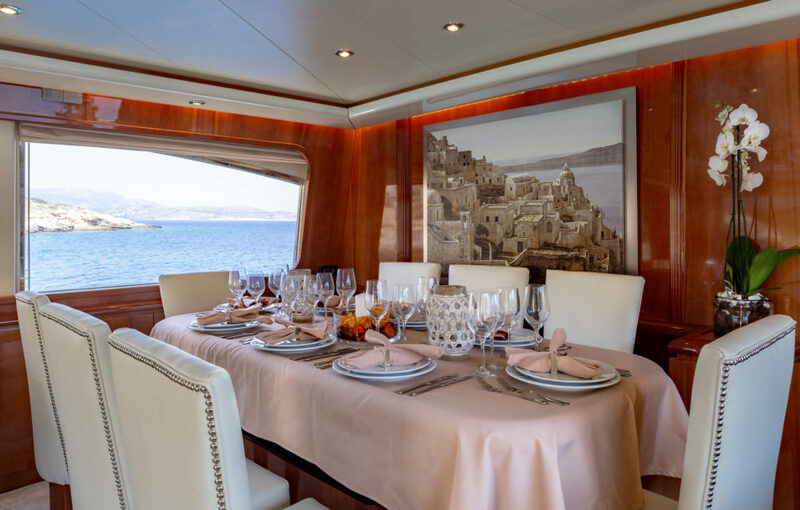 Whether with family or friends, chartering ‘Efmaria’ will be a memorable experience for everyone. The Ionian Islands are a paradise for sailing and cruising. So, wait no more! Get ready to explore a land of beauty, history and culture.